Dreadwise Music is a vinyl only record label based in Nottingham UK. Focusing on Roots and Dub orientated music. With two 7" releases to date, and another in the works ready for a 2017 release date! 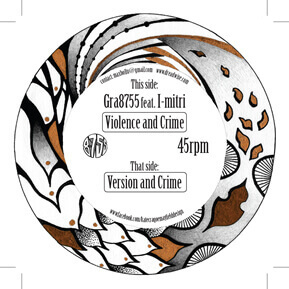 SOOOO excited for this, our first 12" release!! 2 heavy, heavy ,Massive Dub Corporation tracks and remixes by Digid and Dubbing sun! Massive Dub Corporation Time Collapse + Vent Solaires both get the Digid and Dubbing sun remix treatment. Click here to go to our shop listen and pre order. Brand new from Adam Prescott! Featuring the mighty Earl 16 on vocal duty, AP comes correct with a heavy steppers riddim backed with a weighty dubwise edit on the flip. Big support from Sir David Rodigan & Iration Steppers . . . . . Crucial! I-mitri teams up with Biscuit tin sound system for the 2nd release on dreadwise music, with a heavy organ cut on the version!